Glass eye smuggling? Yes, it was a thing! 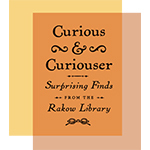 Upon entering the Rakow Research Library’s current exhibition, Curious and Curiouser: Surprising Finds from the Rakow Library, you may soon have the curious sensation of being watched. Just inside, and glancing to the right, you’ll discover a fascinating poster depicting row upon row of human eyes! Not real flesh-and-blood eyeballs, mind you, but rather an advertiser’s depiction of every imaginable color and style of glass eye prosthetics available in 1891. It will be hard to avert your gaze from the actual glass samples displayed in a velvet-lined box just below the poster. They were meticulously handcrafted by skilled glass workers and are eerily realistic. Advertising poster for glass eyes, Queens & Co., Philadelphia, Pa., 1891. CMGL 72685. The glass eye display in Curious and Curiouser in the Rakow Library. The history of prosthetic eyes, made of various materials, is a long and fascinating one which goes back as far as 2800 BC. Glass prosthetic eyes, originally developed in the 1500s, were valued for their natural appearance, relative comfort, and wear-ability. But at least one salesman envisioned a scheme to take advantage of their monetary value. In the early 1900s “Baron Von Shoenewitz,” (whose real name was Bruno Schulze) had made himself a wealthy man by smuggling German-made glass eyes into the U.S. for years. Glass eyes were subject to a 60 percent import tax, and so by bringing them into the country secretly, Schulze avoided the tax and was able to undersell other distributors, making a fortune for himself until he was finally arrested and put on trial in November 1911 (see the article at left; click to enlarge and read). Inspired by these mesmerizing artifacts, our Flameworking team is making glass eyes through September 4, 2017. Our glass samples, though eye-catching, are just demonstration pieces. Proper glass prosthetics are made by highly-trained specialists called ocularists and are exquisitely realistic. Even so, we hope you will be delighted and amazed when you see us making eyes at The Corning Museum of Glass this summer. Curious and Curiouser: Surprising Finds from the Rakow Library is on view at Rakow Research Library at The Corning Museum of Glass April 8, 2017, through February 17, 2019. Learn more about the exhibition. Hi, I would like to buy few Glass eyes made by the CMoG flameworking team. What would be the cost? Kind regards Zoja Trofimiuk. Thank you for your inquiry, Zoja, but we never sell the demonstration pieces that our staff create. 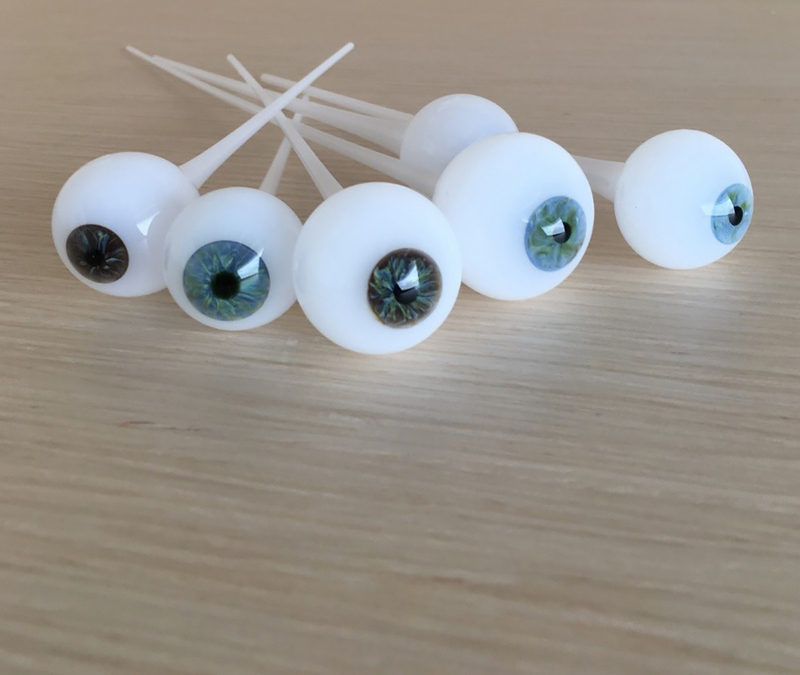 There are many flameworking artists who make different variations of glass eyes these days. You may have some luck simply doing a web search.